Once Upon A Time In Mumbai is based on the underworld scene of the 70s, ruled by Sultan Mirza- A character based on Haji Mastan. It's a film that explores the power that Sultan Mirza holds on all Mumbai, his love story with film actress Rehana and his rise and fall with rebel sidekick, Shoaib, who is modeled on young Dawood Ibrahim. 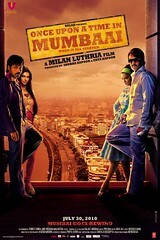 This is a film about Bombay, not Mumbai. It's a story about a smuggler, his lady love and his sidekick, and it's a rather filmy story. The movie is set in Bombay of the 70s, a Bombay that was slowly becoming the financial capital of the country, a Bombay that was home to everything filmy: including the underworld. Everything in the movie is larger than life, the dialogues are almost verse-like, the clothes are loud (it's the 70s! ), the heroine's makeup is loud and what is most vivid is the romanticism of being a powerful don. The power play and slick narrative takes the audience in a roller coaster ride of one man's rise, another man's fall and a strong attempt to be stylish at it. The movie is told to us through the eyes of DCP Agnel Wilson (Randeep Hooda), where he tells us about Sultan Mirza, the most powerful don who arrived in Mumbai with the sea as a small innocent boy, who grew up to become a good-hearted don. It is clear that Sultan Mirza owns the city, loves the city and calls it his Mehbooba. Which is why he helps the poor and becomes a god like figure for them. The character of Sultan Mirza is precise and Ajay Devgan plays it with utmost conviction. He does a good job because we've seen him play a similar character in Company and he still manages to bring a sense of freshness to the character. Through DCP Agnel Wilson's memory we are told of Sultan's rise to power, how he respects the city by only smuggling material goods and not drugs, his love story with film star Rehana (Kangana Ranaut) and his discovery in Shoaib (Emraan Haashmi). His love story is as filmy as it gets, with a corny courtship period which lasts for 3 minutes, cheesy dialogues and song/dance routine albeit with a mature fading into the larger context of the film. Kangana is demure and looks the part of a 70s film star with all the bling and glitz. Emraan on the other hand, plays a younger Dawood Ibrahim in all sincerity. He is cheeky, arrogant and smooth in his ways, and serves as a good contrast to the mature Sultan Mirza. His determination to rule Mumbai and become the greatest power, gives us a dramatic look into what we see now, in the form of international terrorism via Dawood Ibrahim. The problem with the film comes when there seems to be not much of a build up between the king and his sidekick, as seen brilliantly in Company. Both character of Sultan and Shoaib are built very well, but the conflict is not acted out much after the intermission. More emphasis is given on punch lines for dialogues, which get tiring after a point. As an audience member, you expect more action than dialogues, and while the first half seems promising, the latter part of the film, including the climax, don't match up to the decently carved out first half. Kangana's character takes a backseat, Ajay Devgan becomes repetitive and Emraan becomes a cheeky slave to power, to a point of no belief. The performances are immaculate as they go with the overall feel of the film, it doesn't seem stale and convinces you in parts. Randeep Hooda is a raw change, in his confidence as a police officer, Ajay Devgan and Emraan Hashmi are cogent in their parts, but the film loses it edge through a script that creates a void with it's hurried climax and falling second half. Even the though the movie is out and out dramatic, at points the dialogues become too theatrical. Kangana seems sparkly and filled with potential but suddenly loses her screen presence in all the rush to make a drama out of a very narrate-able story. The background score is appealing, but the music seems a bit forgettable. The movie's obvious strong points are Ajay Devgan, apt characterization and a good story which could have churned out a better climax. Watch Once Upon A Time In Mumbai for the love of Bombay, Ajay Devgan, an entertaining story and don't expect to blown away. Yay! Thumbs Up, by TimELiebe : Thumbs Up for the acting and first half - DESPERATELY needs a sequel, though! Shweta : A review of OUATIM with just a passing mention of the dialogues just doesn't do justice to the film. The film is the dialogues and vice-versa. Quite understandable that the dialoguebaazi didn't work for you but even then, a mere passing mention is not fair at all. To sum this one up in short, its full-on Kader Khan redux...a throwback to the 70's...done with style...has its fair share of pitfalls and doesn't offer any solid takeaways...but remains a fun watch well worth the time. Personally, I wouldn't mind multiple watches of this one...like on a Sunday afternoon with some friends for company. I wish I had taken a whistle in the film. Been a long time since I actually whistled in a movie...and in OUATIM, my smoky lungs gave up by the interval. 1. Above posted review is my personal view of the movie. But I must take this opportunity to mention that it's a kind of movie that could appeal to a lot of people. Maybe I am missing the larger context of the movie, and while I admitt the movie is stylish in bits, somehow the entire package did seem a bit forced. I do think the movie was entertaining and promising in the beginning but it lacked majorly in the latter half because, for me, it only deteriorated from then. 2. About the genuineness of the film, again I think the concept is bang on, but the execution of the whole film somehow lost out from the crisp beginning. 3. A critique of the dialogues have been brought out at various parts in the review, and my only point about the dialogues is that even though it IS different, it gets a bit tiring to have the same style of punch-filled dialogues spoken by every character. Maybe it would have a better impact had they restricted it to one character or just a few demanding scenes. 5. My apologies about not mentioning Prachi Desai. According to me, she looks fresh and fits the part of Shoaib's girlfriend, but even her character takes a backseat by the second half. Although that could have been the intention. 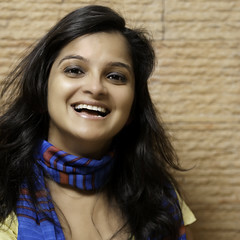 Swetha Ramakrishnan has posted 8 comments and has rated 0 movies. See Swetha Ramakrishnan's page for more details. The chemistry between Imraan Hashmi and Prachi Desai is so cool.The movie is nice and Ajay Devgan has proved himself yet again. I thought this movies was great I loved it. Please if you have not seen it then you see it. you will not regret it. trust me. Web Design Richardson Texas has posted 1 comments and has rated 0 movies. See Web Design Richardson Texas's page for more details. @Pankaj Thanks and my bad for not briefing Swetha on how serious about 'not giving the movie away' we are. Will take better care next time. I haven't gotten a chance to watch the film yet. If I do, will surely leave a comment here. @moviebhakt had left a brief note here saying I'll be out, but don't matter no more, because I'm back. And will check out the link in just a bit. @Swetha thanks for holding fort, dear! @Sanket he he he. I take that as a compliment. @lost in confusion yep! you are right. apologies for the error. @moviebhakt amaa kya yaar?! 'without giving the movie away' waali ko film ke poore 5 minute dikha diye! powerhouse acting by Ajay !! this is a must see movie. even the lameduck actresses have done a better job in this movie. dimpykash has posted 1 comments and has rated 0 movies. See dimpykash's page for more details. @Shweta - your review was spot-on, IMO: Great performances, nice music, a plot that felt lifted from every "Good Gangster" movie ever made in any country, and what felt like a very rushed and unsatisfying second half! When the film ended, my American Bollywood Watching Group looked at each other and went "Seriously? That's it?" Just like to take time out to praise Ajay Devgan's performance here, which is amazingly good. You can laugh, but most of our previous knowledge of his acting comes from the GOLMAAL movies and the held-back-for-almost-a-decade turkey MEHBOOBA, so seeing him play Sultan was a revelation to us all. TimELiebe has given this movie a Yay! Thumbs Up(Thumbs Up for the acting and first half - DESPERATELY needs a sequel, though!). TimELiebe has posted 430 comments and has rated 175 movies. See TimELiebe's page for more details.